Northbridge is one of Perth’s coolest neighborhoods, renowned for its contemporary art scene, buzzing nightlife, and eclectic foodie scene. 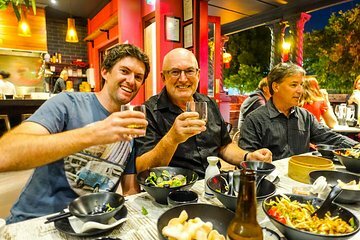 On this tour, benefit from a small group size and discover where to eat, drink, and party from a local guide. Along the way, stop at popular restaurants to sample delicious foods, sip cocktails at an underground speakeasy, and find out where to buy the best gelato. Food and drink tastings are all at your own expense.